Your student may not always bring home a perfect report card. But how can you tell the difference between needing professional homework help and a quarter that was simply rough? 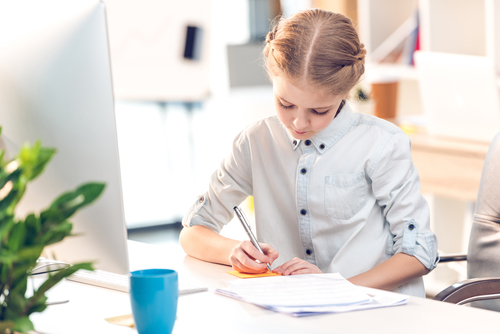 The tutors with MindsAhead Academy in New Jersey say there are a few signs to look for that indicate your child would benefit from working with an expert. As children age and develop outside interests or as school subjects become more complex, it is easy for students to fall behind. Keep an eye on their report cards, and look for consistently low grades in certain subjects. Once a child falls behind, it can be an uphill battle to catch up again, so this is one indicator that is unlikely to resolve itself without help. Believe it or not, spending hours on homework doesn’t always simply mean your student has a lot. It could be an indicator they’re struggling with a subject. Take the time to glance over their assignments, and ask the teacher how long kids should be spending on homework if you’re not sure. Also, observe your student’s reaction to homework time. If they’re visibly frustrated or upset, it’s time for a tutor. While behavior problems aren’t always an indicator of academic issues, the two are often linked. When a student begins to struggle in school, they usually check out or lose focus during class. They may also act out due to boredom or the embarrassment of not understanding a concept. If your student’s teacher has mentioned their negative behavior to you, take the time to find out what’s going on. If your child needs a tutor in New Jersey, turn to the professionals at MindsAhead Academy. Their team works with each student to improve their grades and understanding of key academic subjects, as well as their critical thinking skills. To learn more, call (732) 791-4848 or visit their website.